Sludge-to-energy systems can make the dream of a circular economy a reality by turning waste into an input, instead of just an output. These systems can be developed as independent, decentralized units that require minimal outside energy for operations. From raw sewage, they generate three useful products: energy, digestate and water that can be reused for agriculture, industry and even domestic uses such as watering gardens and flushing toilets. A plant’s financial needs and the technical capacities of its operators can inform which kind of sludge-to-energy technology and system is chosen, and they can be installed in existing wastewater treatment plants, reducing the need for new infrastructure. This saves time, space and money. Sludge-to-energy systems can also help in another way. India’s urban populations have grown so drastically that sewage treatment systems cannot keep up with the amount of human waste being generated. 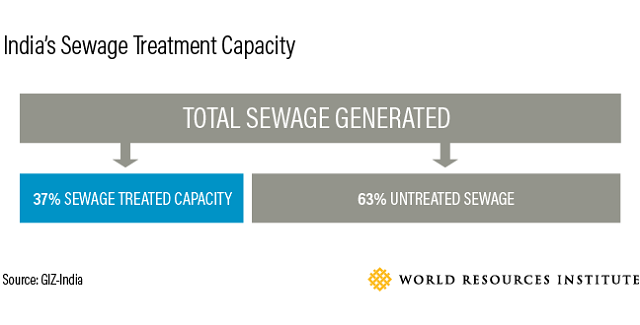 There are only enough treatment systems in India to treat 37 percent of the country’s sewage—and that’s if they were all operating at maximum capacity. In reality, even less than 37 percent of sewage is probably treated—the rest is often dumped in waterways or on land. Untreated sewage contains large concentrations of pathogens and other contaminants that can make people sick. 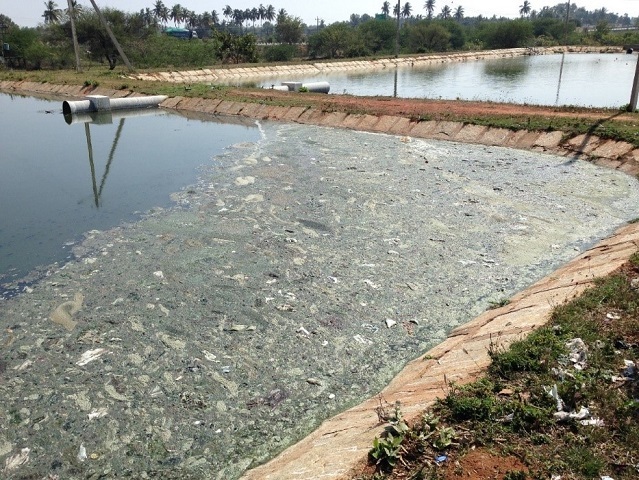 Despite emerging policies to deal with urban sanitation, there’s been limited uptake of traditional wastewater treatment facilities due to barriers such as high installation and maintenance costs, the large amount of energy required to run such units, and the need for trained technical staff. In addition, traditional facilities require large amounts of additional space in India’s already-dense urban areas. Non-traditional, smaller sludge-to-energy systems could overcome these barriers by selling natural gas and digestate for revenue, and by using biogas to meet energy needs on-site. 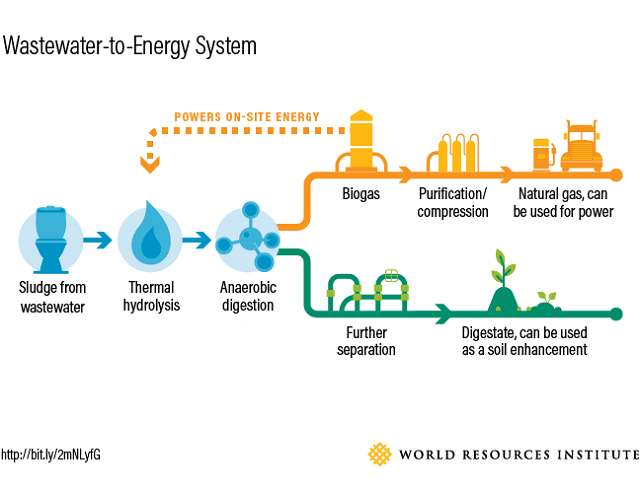 Sludge-to-energy systems can help wastewater treatment become financially feasible, provide renewable energy and reduce greenhouse gas emissions—all while helping to meet India’s growing water and sanitation needs. WRI India is currently leading research on the potential for implementing sludge-to-energy systems in Indian cities. Past WRI research found that sludge-to-energy systems in Xianyang, China would yield sizable economic, environmental and social benefits—can the same be said for cities in India? 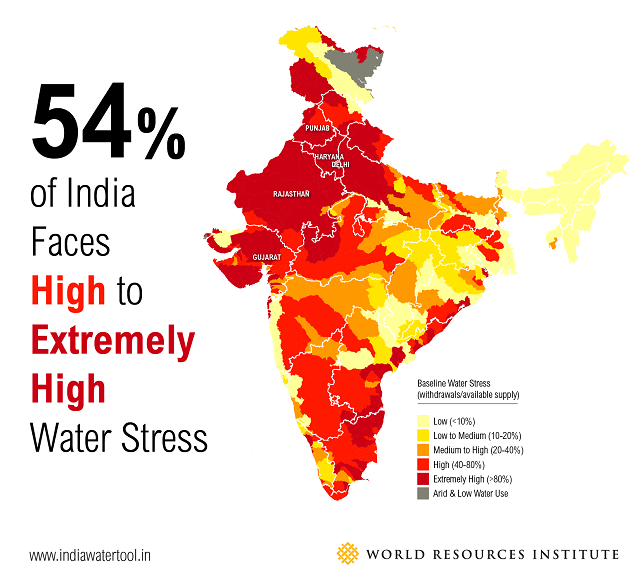 Our research in India will map the policy and institutional landscapes of the water and wastewater sectors, consider which designs and approaches match India’s needs, and identify the potential for such systems to increase resilience to water stress. 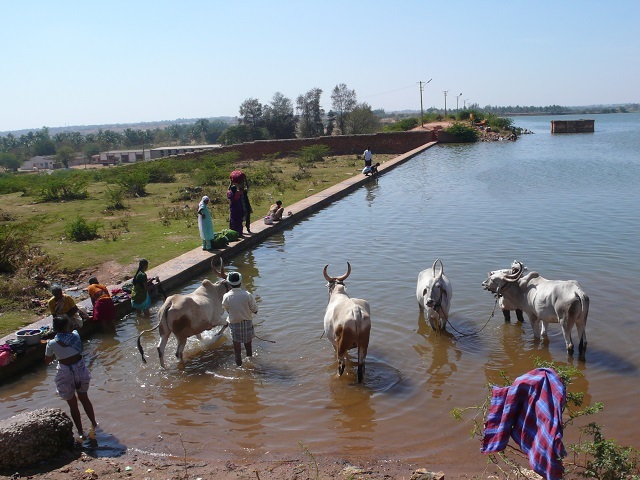 By harnessing resources from wastewater, Indian cities may be able to simultaneously gain a clean source of water, energy and improved sanitation.